A Critique of Russell Kirk's "Libertarians: The Chirping Sectaries"
Russell Kirk's 1981 essay, "Libertarians: The Chirping Sectaries," is a shallow, unsophisticated ad hominem attack on the American libertarian movement. It contains an abundance of fallacies, mischaracterizations, false blanket generalizations, and outright lies about libertarians. Moreover, its intentions are hostile and destructive: Kirk wishes to prevent the possibility of what might have been productive intellectual and practical cooperation between libertarians and some of the more reasonable conservatives. Here, I will endeavor to thoroughly refute Kirk's arguments and to show that libertarians are not the chaos-loving demons Kirk depicts them as being. Kirk begins his essay with a manner of intellectual intimidation, claiming that conservatives form a "majority" of the American public, while libertarians constitute a "tiny though unproscribed minority" (345). During the time the essay was written, the latter may have well been true—although undoubtedly the number of libertarians has increased since then and especially since Kirk's death in 1994. After all, Ron Paul gathered approximately 1.2 million votes in the 2008 Republican primaries—meaning that while libertarians are still a minority, they are not a tiny minority, but are rather somewhere on par with American Jews. The former claim—that conservatives constitute a majority of the American public—is unlikely to be true. But even if it were, what is the point of Kirk's including it in a paper comparing the contents and the merits of the two ideologies? Surely, the truth of an idea is independent of the number of its adherents. Is it Kirk's purpose to say to libertarians, "We are more numerous than you, and you exist at our mercy. How generous we are for not proscribing you!"? Or is it to make the argument, "Most people agree with it, so it must be right!"? (I am sure that Kirk would disagree with the same statement when it came to popular music, clothing, or lifestyles.) Suffice it to say, the inclusion of this comparison is not a logically necessary part of Kirk's argument and simply serves to poison the well against libertarians by appealing to the lower prejudice in some who reason that might (I.E., numbers in elections) makes right. 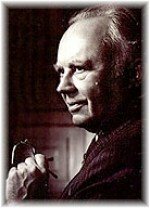 Judging by the detestable behavior of the Religious Right and the so-called "conservatives" of the Bush administration in recent years, I am all too tempted to agree with Russell Kirk's thesis that conservatives and libertarians have nothing fundamental in common, but this is far too hasty a judgment in my more thoroughly considered opinion. While many conservatives in the United States—especially many conservative opinion leaders—are proto-fascistic in their agendas, many others are decent, reasonable, and well-intentioned. While the former yearn for the Ancien Regime union of a militant church and an absolutist state, the latter at least claim to be espousing the principles of the American founding—life, liberty, and the pursuit of happiness. It is for the sake of the latter kind of conservatives that I write this essay, urging them to reject Kirk's insular and alienating claims and find some common ground—any common ground they can—with libertarians. Kirk alleges that libertarians "carry to absurdity the doctrines of John Stuart Mill," (345) thereby equating libertarianism with Mill's utilitarianism. While Mill's philosophy certainly has many elements that many libertarians would find praiseworthy, there are many other intellectual sources for libertarianism—many of whom would have serious disagreements with Mill and the other extremely famous utilitarian, Jeremy Bentham. The foundation for libertarianism that differs most from Mill's thinking is the natural rights philosophy, whose varieties are espoused by John Locke, Ayn Rand, Murray Rothbard, and many others. Even if one does not follow the natural rights route, one does not have to embrace Mill's and Bentham's formula of "the greatest happiness for the greatest number." One can be a libertarian for reasons that have nothing to do with individuals' subjective emotional states. For instance, one can argue that in a libertarian society, individuals will be wealthier, more productive, more moral, less violent, more refined, more differentiated from one another, or longer-lived—and any of these can be seen as ends apart from happiness if one is inclined to so consider them. I myself am an advocate of natural rights on a consequentialist foundation; I believe that absolutely embracing the principle of natural rights will enable people to maximally pursue and extend the most important of all values—the life of each individual. My kind of libertarianism does not depend on how anybody feels, and for me the existence or non-existence of the individual is more important than his happiness or lack thereof—although happiness is nice, too. Moreover, unlike many utilitarians, I do not ascribe the same degree of "valuableness" to all individuals, although I do believe that all individuals are worthy of a baseline level of respect for their natural rights and a baseline level of common courtesy. There are about as many kinds of libertarianism as there are libertarians, and Kirk is simply wrong to reduce all libertarianism to the thought of one person—even a brilliant person such as Mill. While Kirk is not far from the truth when he alleges that libertarians consider personal freedom "as the whole end of the civil social order," (345) he is grievously mistaken when he claims that libertarians also consider it the whole end "of human existence." (345)To most libertarians, freedom in itself is a means, not an end. Freedom serves to enable the individual to pursue and attain other values—such as prosperity, self-improvement, intellectual endeavors, personal relationships, esthetic enjoyment, and entertainment—without needing to fear the coercive interventions of others. To paraphrase Rothbard, freedom may be the highest political end, but it is not the highest of all ends. Rather, libertarians recognize that the political sphere is best suited for the attainment of freedom, but is miserably suited to the attainment of any other end, as numerous failed experiments presupposing the contrary have demonstrated. While I, a libertarian, have serious disagreements with aspects of Mill's utilitarianism, I also have a great respect for Mill and find it necessary to defend him against some of Kirk's attacks. Kirk heaps invectives on Mill's upbringing by a "sour," "austere," and "doctrinaire" father, who gave him a better education that Kirk or possibly anyone else ever had. This is not an insult to Kirk, as few can equal the genius of John Stuart Mill, but I do find it rather disconcerting that Kirk does not respect Mill's colossal erudition. While Kirk acknowledges Mill's breadth and depth of learning, he alleges that "his intellect was untouched by the higher imagination" and that "Mill became all head and no heart" and "turned into defecated intellect." What base and shallow accusations—especially coming from a man whose lack of imagination led him to disdain all of the wonderful possibilities of modern technology—including automobiles, highways, television, and computers. Pre-modern conservatives often accuse libertarians of having no imagination, while at the same time disdaining the technology that has cured so many great human ills without even knowing much about that technology and the ways in which it might be used beneficially. Moreover, I do not consider it having "no heart" to believe that human lives and human societies could be fundamentally and qualitatively better than they currently are—a notion that conservatives of Kirk's stripe, believers in a fixed, unchangeable human nature and human social dynamics, emphatically reject. Embracing pre-modern conservatism amounts to a resignation to the massive human death, disease, conflict, and misery that have pervaded the world since before recorded history. Embracing libertarianism offers an eventual way to rid ourselves of many of the perils we presently face. You decide which position displays more "heart," if by "heart" one means a compassion for human beings and a desire to eradicate the suffering they do not deserve. Kirk compounds his vitriol by mentioning Mill's attachment to another man's wife—forgetting that Mill did not actually do anything to infringe upon her marriage until her husband's death dissolved it. It is not a mark of vice to simply have a desire which lacks legitimacy or may pose complications if actualized; it is only a mark of vice to act on this desire—which Mill did not. Mill was indeed the paragon of personal virtue; he delayed his gratification until he could do so in a manner that would not be adulterous and would not harm any human being. The same could not be said of many popular conservative leaders today—hypocrites, adulterers, money launderers, petty and large tyrants, and militant advocates of destruction. While Kirk himself was a moral though oddly dogmatic character in his personal life, the worldview he demands had many far less admirable exponents. The essence of Kirk's criticism of Mill's absolute principle that the sole purpose of government force is to prevent harm inflicted by some against others is that liberty is desirable in some cases, but not desirable in others. Yet, who is to decide in which cases liberty is desirable? Can we trust any human being, however virtuous, to make that decision—which can have grievous consequences for others—and to implement it using the force of the state? While some people are clearly more rational and virtuous than others, no person is free of flaws. The purpose of libertarianism is to minimize the impact on others that any given person's flaws might have. It is impossible to reliably prevent an individual's follies from damaging himself, but libertarianism endeavors to confine that damage solely to him to as great an extent as possible. It is thus that each man may govern himself as he pleases, for good or for ill, but when it comes to governing others as a master and not an impartial referee, the potential for and magnitude of damage is far too great—as history repeatedly teaches us. The fascistic strain in Kirk comes out when he writes, "It is consummate folly to tolerate every variety of opinion, on every topic, out of devotion to an abstract 'liberty'; for opinion soon finds its expression in action, and the fanatics whom we tolerated will not tolerate us when they have power." (346) I do not see the problem here, for words and ideas are different from actions. One may hold fanatical or simply mistaken ideas and express them using words, but this does nothing to change the state of society until the ideas are actually implemented. In a libertarian society, it is legitimate to use force to stop any implementation of coercion—so where is the problem? The moment the fanatics begin to use violence, they get punished; until then, they are merely stating their opinions. Since their ideas are false, they can be countered with true ideas; the battle at this stage should occur entirely on the level of voluntary persuasion, and force should only be used when force has been initiated. To claim that opinion necessarily finds its expression in action is absurd. If I believe that I ought to have a club sandwich, that does not mean that I will go out and get it; there may be obstacles in my way that I cannot overcome—such as poor weather or pressing work commitments. Moreover, what I mean by a club sandwich might not be what you think I mean by a club sandwich. Maybe I mean a sandwich that looks like a club, or a sandwich that is eaten in a social club or off of a golf club, so what you think I want may not be what I actually want. Whenever any two people use words, the definitions of those words may be so highly peculiar to each individual that it becomes impossible to predict in advance how any given person will be motivated by any given idea. Human actions, not human ideas, can be known with certitude—and there is no deterministic pathway by which a given idea becomes translated into any given action. But, ironically enough, Kirk's brand of conservative is precisely the kind of intolerant fanatic who would use overwhelming force if he were to achieve power—force that would be used to abolish numerous technological advances, mandate religious belief and observance, persecute non-coercive lifestyle choices such as premarital cohabitation, homosexuality, and marriage outside of mainstream churches, and require theological instruction for the masses. Anything that the center and far left are doing today to coerce the American people would pale in comparison to a pre-modern conservative theocracy in the United States. But suffice it to say, a person who is intolerant and advocates persecution of contrary opinions rarely does so on a whim; he typically believes the contrary opinions to be in some way dangerous if implemented. So Kirk's position is no different in kind from the position of an Islamic fundamentalist theocrat -- say, a Taliban cleric or an Iranian ayatollah, who also considers opinions contrary to his own to be very dangerous indeed, especially when it comes to the "higher things," if they were put into practice. Kirk might impose different prohibitions from the Islamic fundamentalists, and to a different degree, but his mode of thinking is quite similar. Kirk believes that the great danger of our time is "the lust for novelty; and that men will be no better than the flies of a summer, oblivious to the wisdom of their ancestors, and forming every opinion merely under the pressure of the fad, the foible, the passion of the hour." (347) But this is precisely what libertarianism helps protect us against! By having freedom from coercion, the individual is protected if he chooses to defy societal fads! If the past does indeed contain much wisdom (and I believe it does), then those who refer to it will live more successful lives—if they are not punished for doing so or forced to do otherwise. By establishing the state as an agency primarily working to prevent this kind of compulsion, libertarians ensure that every individual can become as erudite, sophisticated, long term-oriented, and respectful of the great things that occurred in the past as possible. Most libertarians acknowledge an intellectual heritage that stretches back for millennia—with vestiges of libertarian thinking found in Socrates, Diagoras, Aristotle, Theodorus, Epicurus, Lucretius, Cicero, and many other thinkers of antiquity. Moreover, most libertarians eagerly embrace the technical accomplishments of our ancestors—the technology we enjoy today in all aspects of our lives—as well as their societal accomplishments, such as the elimination of absolute monarchy, the separation of church and state, the abolition of slavery, the emancipation of women, and the great diminishment of racial and ethnic discrimination. Kirk then contradicts what he just wrote in the previous paragraph by lamenting, "The perennial libertarian, like Satan, can bear no authority temporal or spiritual. He desires to be different, in morals as in politics." (347) So what do you want, Dr. Kirk? You seem to dislike people blindly following fads, but then you also resent them being different! You need to pick one or the other, because the two possibilities are mutually exclusive and encompass the complete set of possible outcomes. One is either able to be different, or one is not. If one is able to be different, then one may decide not to follow a self-proclaimed authority in matters that do not involve coercing others. If one is not able to be different, then one may not be free to defy the cultural authorities that dictate the ever-changing fads that Kirk criticizes. Kirk proceeds to make the stale and hackneyed equation of libertarianism with libertinism (347), an accusation that requires only a modicum of empirical observation and/or study of the abstract theory of libertarianism to debunk. Many libertarians—including, as we have seen, John Stuart Mill—were and are impeccably moral in their personal lives and acknowledge that their range of desirable behavior in society is limited by moral principles so as not to harm others. Many libertarians also care about their reputations and personal respectability and so will not act in complete disregard of the opinions and preferences of others. To the extent that they desire to get along with their friends, co-workers, and acquaintances, many libertarians voluntarily embrace certain kinds of conventions and modes of behavior—but they reserve the right to violate or modify those conventions if it makes rational sense to do so. I personally follow a great deal of societal conventions that are not legally mandated, but I do not believe that it is inherently wrong to defy some of these in certain circumstances. Where human values and conventions conflict, the conventions need to go; in most other cases, there can be a pleasant coexistence of the two. Kirk also establishes an intellectual straw man. He writes, "The final emancipation from religion, convention, custom, and order is annihilation." (347) But few, if any, libertarians advocate complete emancipation from any of these; they simply want the freedom to choose how, when, and if to adhere to them. Some libertarians are religious, and some are not—but no libertarian wants to eliminate religion, especially through coercion. The same goes for adherence to non-coercive customs and conventions. After all, many libertarians celebrate traditional holidays and hold doors for people! Likewise, most libertarians subscribe to Friedrich Hayek's understanding of a spontaneous order in society—an order that is not centrally or consciously planned but nonetheless emerges out of the interactions of millions of human beings. It is impossible to eliminate every kind of spontaneous order, although these orders do evolve and replace one another over time. But no libertarian wants to jettison all order. It is Kirk's primitive equation of order with top-down planning—what Hayek calls taxis—and more particularly, with central planning at a society-wide level, that lies at the basis of his accusation. Kirk, and G.K. Chesterton, to whose story "The Yellow Bird" Kirk refers (347-348), misconstrue the meaning of liberty as the freedom from all limitations. They argue, instead, that limitations are quite necessary even to the very survival of the human organism. This is not controversial, but it is beside the point. The question is, rather, should somebody else be able to dictate to an individual what his limitations ought to be and to punish that individual for having a different understanding and/or acting on it? Most of us—the ones who are still alive, at least—want some limitations in our lives, which we structure according to definite patterns that we do not like to see infringed upon. The alternative we face is whether we get to plan our lives, or whether somebody else gets to do it for us. It may well be that some amount of government action is necessary to give every individual the maximum possible sphere in which he gets to make his own decisions. I certainly do not reject all government, and I am even a state employee, because I think that certain kinds of protections afforded by government can maximize individual liberty. Some libertarians, the anarcho-capitalists, will disagree with me here—but virtually all libertarians will agree that the purpose of political institutions, whether they be governmental or decentralized, competing, and private, is to protect every individual's ability to choose the limits to which he will be subject, with the exception of the inviolable limitations of not harming others and not infringing on their ability to have a similar level of choice. Moreover, there are always the limitations posed by the laws of nature—laws that cannot be violated, although they can be used creatively to achieve our purposes. To get anything of substance done in this world, one needs to have a thorough understanding of natural laws—the laws of physics, chemistry, biology, economics, ethics, and even to a certain extent esthetics. In the words of Francis Bacon, "Nature, to be commanded, must be obeyed." It does not work to simply wish away the limitations posed by the laws and phenomena of nature. Rather, we ought to work within those limitations to make a better existence for us all. Libertarianism does not see itself as opposed to the limitations of natural law. Quite the contrary: libertarians—even some of the utilitarians among them—consider their ideas derived from the laws of nature, with their inherent limitations. After all, if libertarians truly did not believe in limitations, they would say that socialism could work if people wanted it to work—since socialism not working despite people's best intentions is surely a limitation to what is possible! "Ironically enough, Kirk's brand of conservative is precisely the kind of intolerant fanatic who would use overwhelming force if he were to achieve power—force that would be used to abolish numerous technological advances, mandate religious belief and observance, persecute non-coercive lifestyle choices such as premarital cohabitation, homosexuality, and marriage outside of mainstream churches, and require theological instruction for the masses." More than halfway through the essay, Kirk comes to his senses and acknowledges that there are some respectable libertarians out there "who through misapprehension put up the cash for the fantastics." (348) Kirk believes that these people are really "conservative[s] with imperfect understanding of the general terms of politics." (348) I would give these individuals, whom Kirk does seem to respect, a bit more credit than to think that they are simply duped by the more objectionable elements of the libertarian movement. If these gentlemen are so smart, they must know what they are doing and must have good reasons for doing so. Perhaps the other libertarians whom they support are not as bad as Kirk supposes, or perhaps the gentlemen do not as readily support the caricatured doctrinaire libertarians as Kirk asserts. Either case, or a combination of both, is entirely plausible. In every movement of any decent size, there will be fanatical, irrational, and dangerous people; I have met some of those among libertarians as well, and I do not support them or their agendas. On the other hand, there are many people whom Kirk considers "eccentrics" (this is a negative term for Kirk) who I believe are delightful, reasonable, and sane individuals. It is true that many libertarians spend too much time developing their abstract theory and not enough time attempting to implement it in the real world, but some libertarians have recognized this and are beginning to work—often quietly and indirectly—toward more tangible objectives than an ideal minarchist state or pure and functional market anarchy. But the lack of practicality among some libertarians should not be a condemnation of libertarianism itself; it may simply be a natural outcome of the politically marginalized status that most libertarians consider themselves to have. If they can only effectively think and write at this stage, then this is what they will devote their attentions to. Following his disclaimer, Kirk makes his case for why an intellectual alliance between libertarians and conservatives is undesirable. He believes that libertarians are "mad" and exhibit "lunacy" and besides are so small a minority that they will have no impact on American politics, but one should not want to be associated with them and their "lunacy" (349). He also accuses libertarians of splitting into ever-smaller sects and rarely coalescing again. Libertarian sectarianism is, alas, all too prevalent a phenomenon for my liking—and Kirk's criticism here has some justice as applied to contemporary libertarianism. However, libertarians are no longer a minority so insignificant as to be dismissed as having no impact. With such highly influential and wealthy libertarians as Richard Branson, Peter Thiel, T. J. Rodgers, and Charles Koch—multi-billionaires, all—on the international business scene, libertarianism can no longer be dismissed as a fringe movement. (An impressive list of libertarian celebrities has been published by Advocates for Self-Government.) The number of libertarians is growing—especially among the intellectual and economic elite—while the number of conservatives is constant or declining. I say this to refute Kirk's allegation that libertarianism will always be insignificant and ineffectual. Moreover, the more successful libertarians—the people who have accomplishments outside the realm of developing libertarian theory—also tend to be less sectarian, so it is possible that a natural selection process will lead those libertarians to assume increasingly more influential positions in the movement. As for the accusation of the madness of libertarians, it is an ad hominem attack and is simply unfair. I could easily say the same about Kirk's belief that cars are "mechanical Jacobins" and his complete rejection of television and computers. I will not say that this belief is madness—just a difference of opinion. I say this because, while Kirk's ideology seems thoroughly irrational and false to me, I believe that anyone can say, from his vantage point, that the vantage point of another constitutes madness. This aids neither intellectual progress nor mutual good will among people. Every person, irrespective of the content of his thoughts, has reasons for thinking the way he does. Rather than dismissing him as mad, it is more constructive to try to understand his position, for we must, after all, coexist in the same world, preferably without exerting brutal violence upon one another. This is the purpose of civil discussion—to establish a level plane of respect and consideration for all the participants and to evaluate ideas based on their content, not on name-calling. Ad hominem attacks, such as the accusation of madness, destroy the level plane of discussion in an attempt to relegate one of the participants to an automatically less respectable position. This leads to intellectual bullying and bravado by the party that performs the diminution, but it does not establish any truth, nor contribute to any mutual improvement. Now I will refute, point by point, Kirk's more specific arguments for why an alliance between libertarians and the more sensible conservatives is not possible. 1. Kirk writes, "The great line of division in modem politics—as Eric Voegelin reminds us—is not between totalitarians on the one hand and liberals (or libertarians) on the other; rather, it lies between all those who believe in some sort of transcendent moral order, on one side, and on the other side all those who take this ephemeral existence of ours for the be-all and end-all-to be devoted chiefly to producing and consuming." (349) I will not here address the controversy between the believers in the transcendent and those who consider this world to be sole and primary. However, I will note that politics concerns this world and the manner in which people interact in it. Thus, in the political sphere, any considerations of whether anything besides this world exists could and should be irrelevant. The purpose of politics is to establish an order here that fulfills certain desired characteristics. I fail to see why people of different metaphysical beliefs would necessarily never agree on what the desired state of affairs in this world ought to be. We all believe in this world, after all, and—despite the disingenuous protestations of some on the Religious Right—we all consider this world important. 2. Kirk writes, "In any society, order is the first need of all. Liberty and justice may be established only after order is tolerably secure. But the libertarians give primacy to an abstract liberty. Conservatives, knowing that 'liberty inheres in some sensible object,' are aware that true freedom can be found only within the framework of a social order, such as the constitutional order of these United States. In exalting an absolute and indefinable 'liberty' at the expense of order, the libertarians imperil the very freedoms they praise." (349) Kirk believes that order has primacy over liberty—but any order? What about the order of the Aztec empire, with its hundreds of brutal human sacrifices per day. What about the caste system—the traditional order of India—accompanied by ritual widow burning, violence against families that paid insufficient dowries for their daughters, and inhuman treatment of "untouchables"? What about the order of some eras of traditional China, characterized by female foot binding and aversion to foreign contact? What about the order of a totalitarian dictatorship? Surely, not all kinds of order are desirable—and some are even less desirable than that big unattainable bugaboo of complete chaos. If Kirk is willing to admit (and he probably would be) that not every order is a good order, then it follows that an order is only good if it is good for something. Then the question must be asked why we want order in societies in the first place. We need societal interaction in order for us to rise above the level of bare subsistence we could attain under autarky. By engaging in societal cooperation, we each want something that the others have. Thus, we require mechanisms by which we can engage in only interactions that benefit all of us and avoid, as much as possible, those interactions that harm some of us. Most of these mechanisms are private, consensual, and even informal. But some human interactions—the violent ones—are so powerful at overriding all the others that they must not be tolerated. Indeed, the society in which nobody uses violence against anybody else is the most desirable society. If we have a government, its legitimate purpose is precisely to make sure that as little violence as possible occurs by establishing a method of promptly detecting and punishing initiations thereof. Historically, most governments have fallen miserably short of this goal and have indeed initiated much active harm—but some governments fulfill the role of protector from violence better than others. And we can always hope for and work toward future improvements. Order is undoubtedly important, but it is vital to have the right kind of order for fulfilling the primary goal of a society, which is the mutual benefit of everybody in it. But who defines the mutual benefit of everybody? Each person who fits under the umbrella description of "everybody" defines his benefit for himself, to the best of his reasoning ability. But in order to be able to pursue his definition of his benefit, every individual must have liberty. Therefore, the purpose of a political order is to preserve for each individual this liberty, so that—by partaking in the larger societal order—the individual can gain other values as well. Order and liberty are not mutually contrary, but order without liberty is not worth having; it is the enslavement of some to others. 3. Kirk writes: "What binds society together? The libertarians reply that the cement of society (so far as they will endure any binding at all) is self-interest, closely joined to the nexus of cash payment. But the conservatives declare that society is a community of souls, joining the dead, the living, and those yet unborn; and that it coheres through what Aristotle called friendship and Christians call love of neighbor." (349) Kirk is being far too simplistic here. Why cannot both friendship and self-interest be necessary and important components for a society to work? What makes these two concepts in any manner opposed or mutually exclusive? Why can one not look out for one's own well-being but also care about the well-being of others whom one considers friends? Virtually everybody does this, and I do not know of a single libertarian or conservative who believes that there is either no friendship or no self-interest in any actual or desirable society. Moreover, I do not know of any libertarian who believes that no dead person is important. After all, many illustrious libertarian thinkers have lived many generations ago! Moreover, I do not know of any libertarian who espouses complete apathy for the yet unborn. Self-interest, as well as friendship and consideration for the past and future, are universal human attributes; they are not peculiar to conservatives or libertarians. 4. Kirk writes: "Libertarians (like anarchists and Marxists) generally believe that human nature is good, though damaged by certain social institutions." (350) This is far from the truth. Perhaps only Jean-Jacques Rousseau—clearly not a libertarian—and his intellectual disciples held this view of human nature. Most libertarians do not believe that any universal normative judgment can be applied to the natures of all humans. Humans are neither universally good nor universally bad; rather, they have certain fairly common motivations and are channeled by internal and external incentives toward good or bad acts. As for my own more particular view, I believe that the term "human nature" is tautological and not particularly helpful, as I explain in this article. 5. Kirk writes: "The libertarian takes the state for the great oppressor. But the conservative finds that the state is ordained of God." (350) Kirk is wrong again about the libertarian view. Libertarianism per se does not condemn the state, although anarcho-capitalism does. Most libertarians are minarchists—advocates of a government limited to protecting individuals against the initiation of force. The state, so long as it confines itself to this role, is not an oppressor. When, however, it initiates force or fraud, libertarians begin to have issues with it. The "conservative" view that the state is ordained of God is rather alarming; it is in no manner distinguishable from the divine right philosophy that justified 17th-century absolutist monarchies in Europe. Surely, sensible conservatives will shy away from this view, if only for its glaring potential to be used by tyrants as a blank check to do anything they please—since they were ordained by God, after all. The sensible conservative will believe that the state is a manmade institution, subject to the possibility that it will be imperfect, unjust, or even on balance harmful. The sensible religious conservative will believe that, if God really is that great, he would not operate through the imperfections of human government—and, moreover, that his faith is most secure by being distanced as far from the state as possible. Kirk further writes: "Society requires not only that the passions of individuals should be subjected, but that even in the mass and body, as well as in the individual, the inclinations of men should frequently be thwarted, their will controlled, and their passions brought into subjection. This can be done only by a power out of themselves; and not, in the exercise of its function, subject to that will and to those passions which it is its office to bridle and subdue. In short, a primary function of government is restraint; and that is anathema to libertarians, though an article of faith to conservatives." (350) This passage is a further example of Kirk's fascistic leanings—the desire to subject not just people's actions, but their will and passions. Thought crime, anyone? The moment that the state goes beyond restraining what people do and instead endeavors to control what goes on inside their minds, it becomes not merely authoritarian but outright Orwellian. An old-fashioned autocrat is preferable to a government that thwarts men's inclinations, controls their wills, and brings their passions into subjection—which leaves men as nothing more than chunks of meat with no direction of their own, controlled entirely by the great puppet masters to whom Kirk ascribes the enormous ability of so managing other human beings! I do not know whether it takes a "swaggering ego" to make presumptions that another person's experience of the world is that of an "arid loveless realm"—but these certainly are swaggering presumptions on Dr. Kirk's part! One can appreciate the numerous wonders, beauties, and possibilities of this world without unquestioningly adhering to custom and tradition, being willing to lose one's life for millions of people whom one does not know but who happen to be in the geographical entity rather arbitrarily defined as one's "country," or believing in a supernatural personified entity who made us, knows everything, and can do anything. It is sheer ignorance to say that libertarians do not venerate the natural world; many of them base their whole worldview on the idea of natural law—and a substantial portion of them like trees and animals and sunsets, too. As for "the immortal spark in one's fellow men," which Kirk certainly means in a religious sense, some libertarians agree with Kirk, while others prefer to pursue a more reliable physical immortality in this world. Still others believe that we do not need immortality in order for what finite lifespans we have to still be the highest values that can exist. There are substantial differences of opinion among libertarians on this issue—but clearly, the reality does not justify Kirk's characterization of all libertarians as ignoring everything that makes the world worth appreciating. As for cooperation, no libertarian advocates autarky and many, including John Locke, Ludwig von Mises, Friedrich Hayek, Ayn Rand, and Murray Rothbard, placed an explicit emphasis on the importance of societal cooperation to human flourishing. But this cooperation is among autonomous, independently conscious individuals—not "hands and feet" of a larger "body." Kirk further states, quite alarmingly, that an alliance with socialists is preferable to conservatives like him than an alliance with libertarians: "The socialists at least declare the existence of some sort of moral order; the libertarians are quite bottomless." (351) The allegation that libertarians do not believe in a moral order is quite false and misleading. Most libertarians adhere to some explicit understanding of what is right and wrong for them and others to do—and all of then have an implicit understanding of this. One moral belief that is shared by all libertarians is that the initiation of force or fraud is wrong and should not be tolerated. Another common moral belief is that the life of each individual is a major—if not the major—moral value for its own sake, and not as the means to any other end. Another virtually ubiquitous libertarian moral value is that of honesty in one's personal dealings—for no free-market economic system can thrive when people continually lie to and defraud one another. A wide variety of other moral values can be derived from the above in myriad ways. Kirk continues to make false blanket characterizations of libertarians: "It was recently a plank in the platform of the Libertarian Party that expectant mothers should enjoy a right to abortion on demand; while to the reflecting conservative, the slaughter of innocents is the most despicable of evils." (351) While some libertarians do indeed support abortion rights, many others do not—myself included. Whether libertarians support the legality of abortion depends primarily on whether they consider the fetus to be a human person; if the fetus is a human person, then it has a natural right to life. If it is not a person, then it has no such right. Many libertarians are as strongly opposed to abortion as many conservatives, the Libertarian Party's platform notwithstanding. In the years since 1981, we have seen where the American conservative movement has gotten by refusing, in Kirk's words, "to lie down, lamblike, with the libertarian hyenas." (351) (By the way, it seems rather strange for Kirk to first dismiss libertarians as politically insignificant, but then to compare them to dangerous hyenas that would devour the conservative "lambs"!) By refusing to consider libertarian ideas, the American conservative movement has actively caused one of the greatest increases in illegitimate government activity in American history—including rampant deficit spending, the expansion of dangerous social programs, a disastrously-managed foreign war, torture, a surveillance state, restrictions on civil liberties, the precursors of hyperinflation, and enormous corporate bailouts. Russell Kirk's intellectual influence may be felt in these developments by the discerning observer. If he were alive today, Kirk might protest that the depredations of the Bush administration were not what he wanted—but they are the logical outcome of the insular, intolerant, fascistic, and illiberal form of conservatism that Kirk promoted with considerable success. Conservatives have indeed had far more political power than libertarians in recent decades—and look where this brought us. Perhaps it is time to try something different.